Whether robots are helping fulfillment in warehouses, assisting those in need, or acting as security guards, these useful aids are filling niches in more and more places. As a result, software developers are increasingly interested in learning about and building robots. 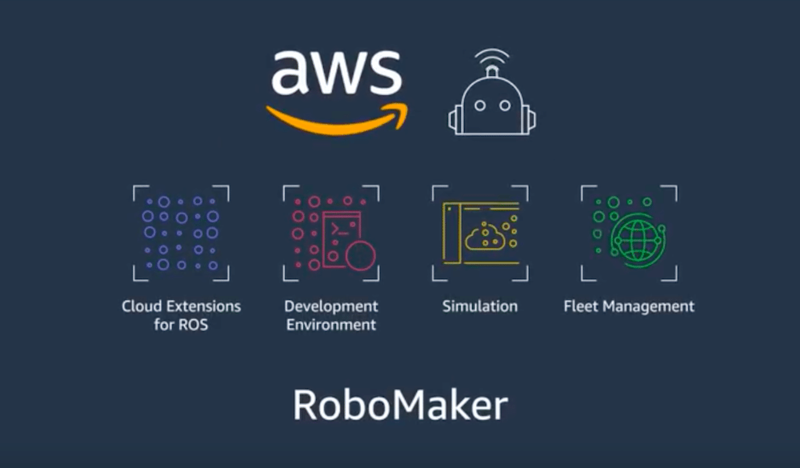 To assist with this mission, Amazon Web Services Inc. recently released a new service called RoboMaker. It provides support for the end-to-end development lifecycle for building, deploying and monitoring applications for robots. “We are really addressing the developer need on how to build and scale and run a robotics business,” said Roger Barga, general manager of robotics and autonomous services at AWS. Generally, robot makers are focused initially on the hardware, and then scramble to find applicable software. Those options are few and far between, according to Barga. AWS has stepped into this void, providing tools to get robots off the planning table and into the world where they can be most useful. It is possible to stream video off the robot through Amazon Kinesis and set it to recognition, so the robot can “see” and the developer can then see what the robot is seeing, Barga explained. For example, the robot can be taught by the user to see and identify a “refrigerator.” Then it can be instructed to go to the refrigerator, and the robot will understand what that means. One of the most interesting use cases for AWS helping robotic innovations is Lea, an assistant specifically designed for the needs of the elderly and disabled, allowing them to live more independent lives. Lea can do everything from detecting falls to giving reminders for activities, as well as picking up and bringing objects to the patient. She even knows how to slow dance.